A heavenly double halo of diamonds orbit around a near colorless, round diamond center stone in this diamond engagement ring radiating eternal love. 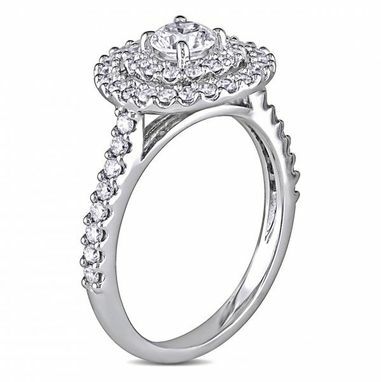 This 14k white gold preset engagement ring features 56 professionally chosen and appraised diamonds of about 1 carat. With a slim ring shank encrusted with several pave set diamond side stone accents, this double halo 1 carat diamond engagement ring is an ethereal, opulent and elegant choice. Free engraving available. 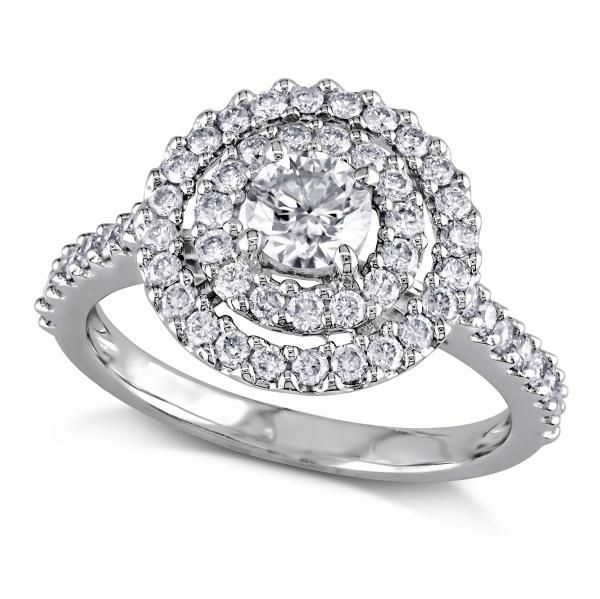 Contact us for customizing this engagement ring with different carat weights and metal choice (additional cost apply).